Ash Wednesday was just last week, so now may be the right time to start thinking about how to decorate for Easter. We can make that project easier for you. There is this Huge Easter Decorations Sale going on all Team Santa Inc. Web stores. 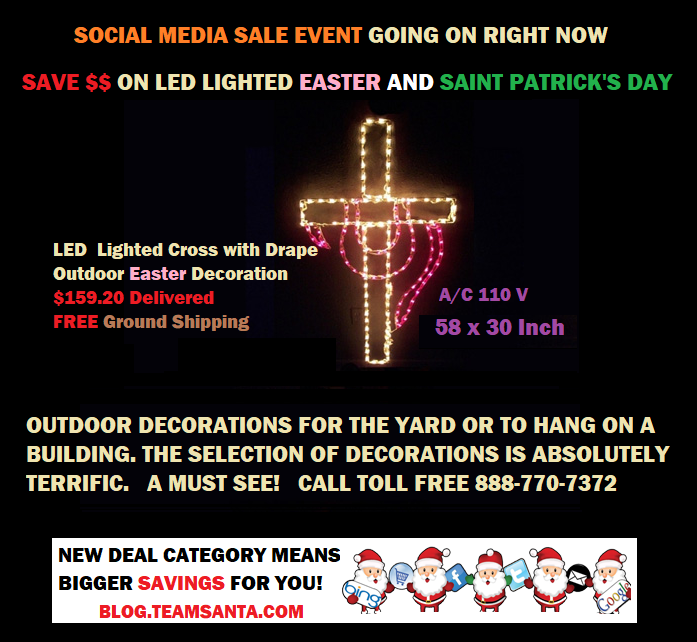 Team Santa Inc. has spectacular outdoor LED lighted decorations for the spring like the Cross with Drape Easter Decoration on Christmastopia.com‎ website. Every year at this time, we reach out to the Easter decorating community online. We encourage you to stop by one of our web stores, for instance Christmastopia.com and look at the adorable selection of lighted indoor outdoor Easter and Saint Patrick’s Day Decorations. All the decorations use the latest in LED technology so the decorations are not only bright but intensely colorful as well. They look so nice at night. Whether you like the lighted shamrock decoration for Saint Patrick’s Day or a lighted bunny for Easter, we can assure you that these lighted decorations are super high quality holiday decorations made in the USA. Purchase the lovely Cross With Drape lighted decoration on Christmastopia.com at the link provided below. 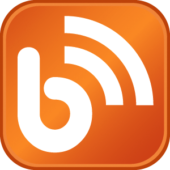 Please feel free to share and re-tweet our posts! TEAM SANTA INC. AFTER CHRISTMAS SALE GOING ON NOW! Is A Lighted Christmas Tree on Your List This Holiday Season? Are Lighted Outdoor Decorations on Your List This Holiday Season? Meet Sam Bartolo – Sam is The Man Who Knows Holiday Decorating at Team Santa Inc.
Social Media Is a Valuable Asset for Team Santa Inc.
Go To The Office? I Don’t Think So! Deal 008 is Exclusively in Celebration of Saint Patrick’s Day. Especially For Irish Decorations For Saint Patrick’s Day. There’s less than 2 weeks to Valentine’s Day! What do you have planned?